The boys took part in a concert for Seachtain na Gaeilge and the Cork City Sports trials last month. 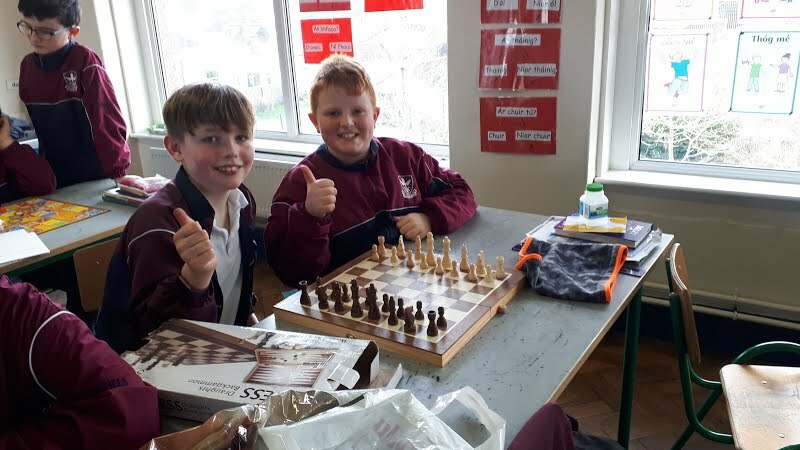 They did themselves proud at both events! 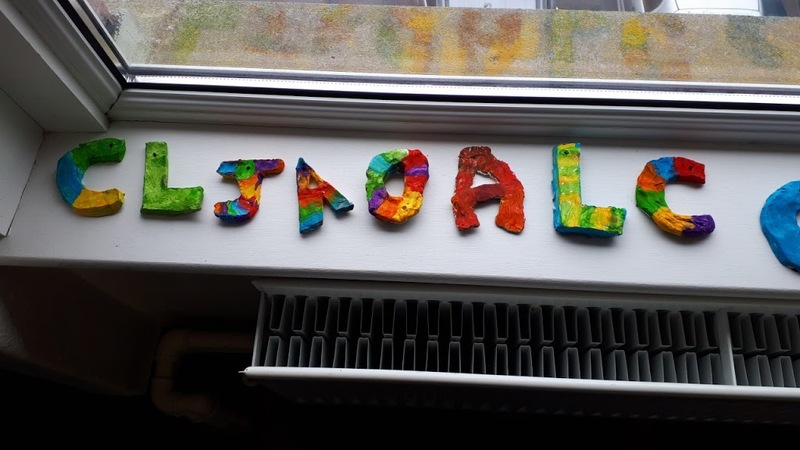 We we also busy in our classroom working with clay. The boys also continued to practice their explanation writing, they are getting better at it every week. Have a look at our photos from the month of March..
During February we continued to explore the print strand in art. 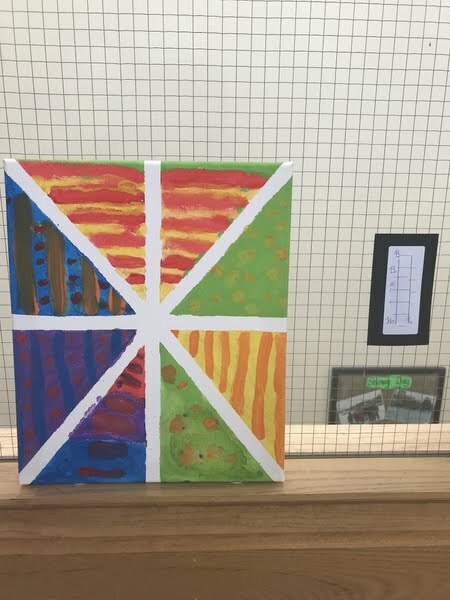 The boys created beautiful print bridges using paint and masking tape, inspired by the work of Claude Monet. 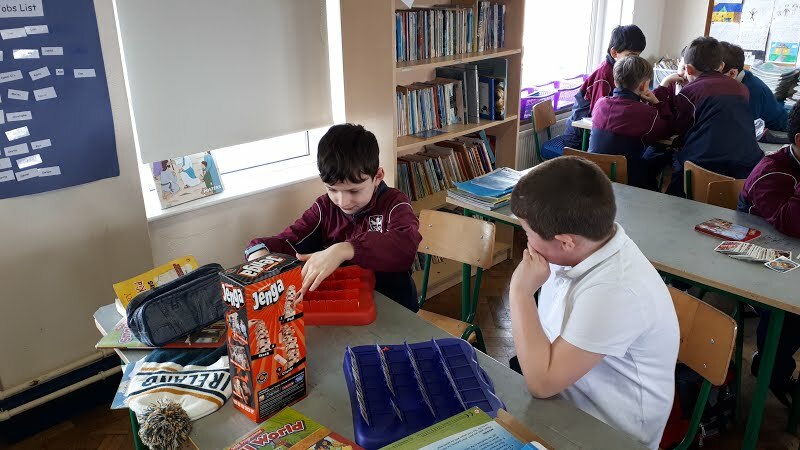 In history, we looked at games and pastimes in the past and the boys brought in some board games which they had lots of fun playing! The tulips, which we planted in the last term, had come up so the boys took them home and they are updating me every day on their progress. It sounds like they are an array of colours! 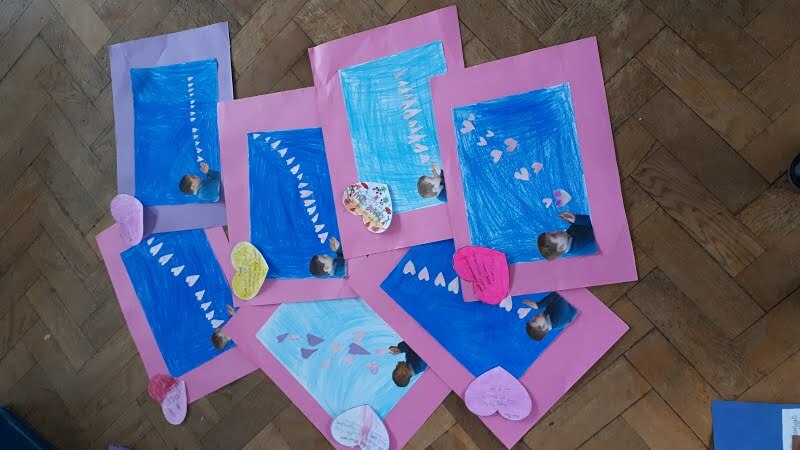 We also celebrated Valentine’s Day…. Have a look!! 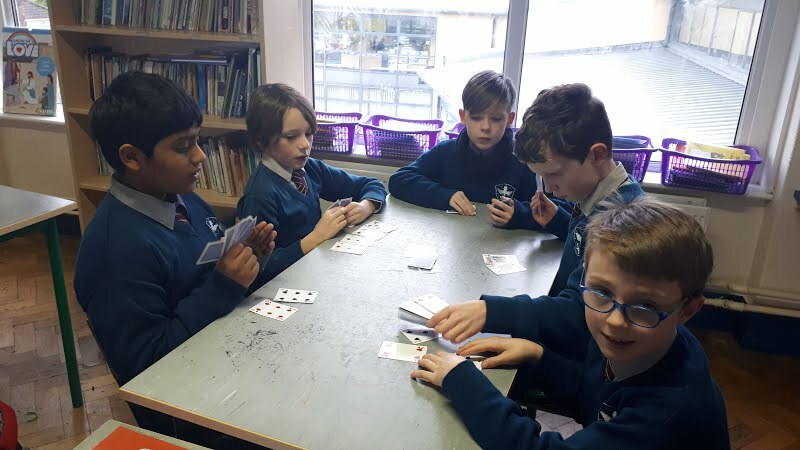 This month the boys learned all about fractions in maths. We split our pizzas into halves and quarters to understand fractions a little better. Thinking about pizza made us hungry! We had a messy month of art as we explored print. 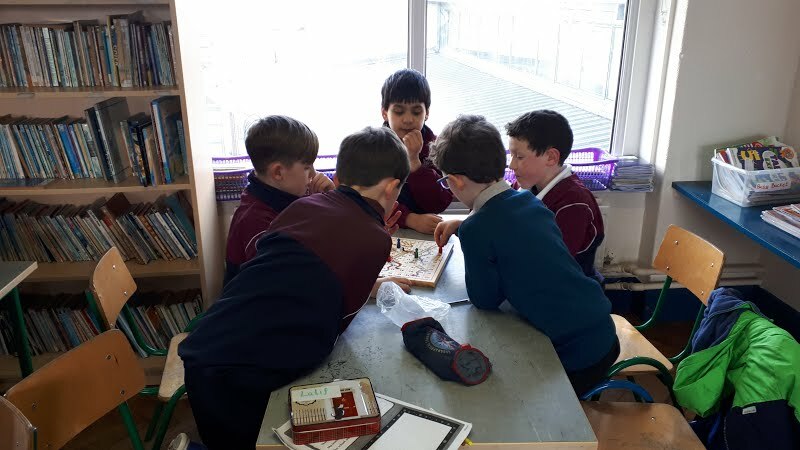 We also learned about Ancient Egypt and through a combination of independent research and class exploration the boys created wonderful projects. Good work boys! We were very busy during the month of December preparing for our school show. The boys performed our version of the Pied Piper of Hamelin, which included some of the songs from the Greatest Showman. They did a fantastic job, well done boys! Thanks to all parents for their help in providing costumes and props. 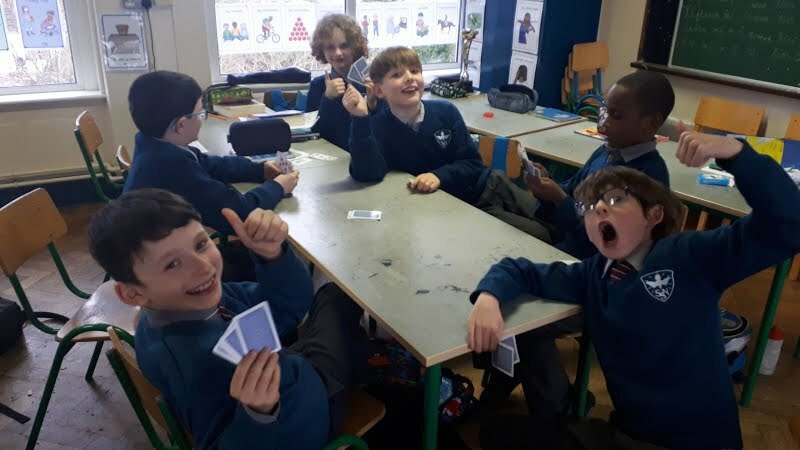 The boys took part in the junior conferring tour of U.C.C. this month. As part of their tour they visited a recreation of a famine mud cabin, the Crawford Observatory and the Honan Chapel. They had a great time, have a look! Our classroom was full to the brim with very creepy characters the day of our Halloween holidays! Well done to the boys for the excellent effort they put into their costumes. To celebrate the spooky season the boys made some gooey green slime with the help of Colette. 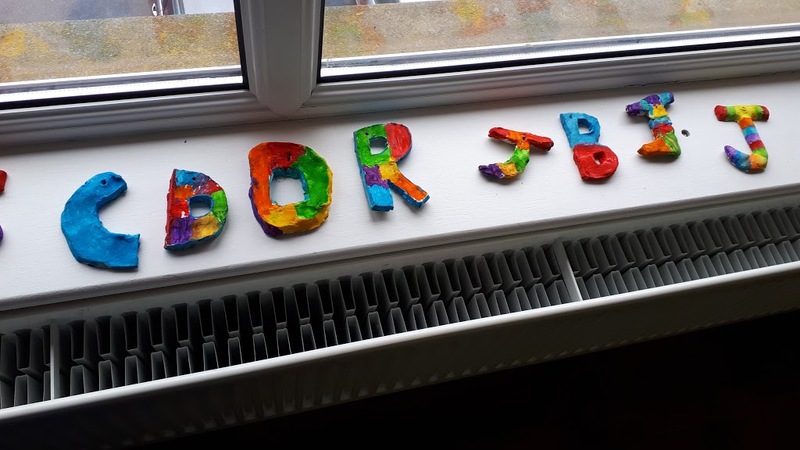 It was messy work but lots of fun and the end product didn’t disappoint, thanks Colette! The boys also planted tulips and we are hopeful they will come to life next spring. 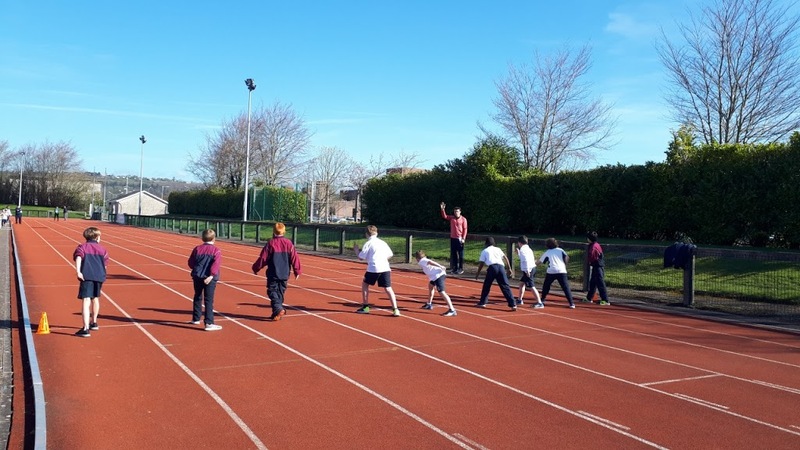 The boys put their all into their athletics skills in P.E. 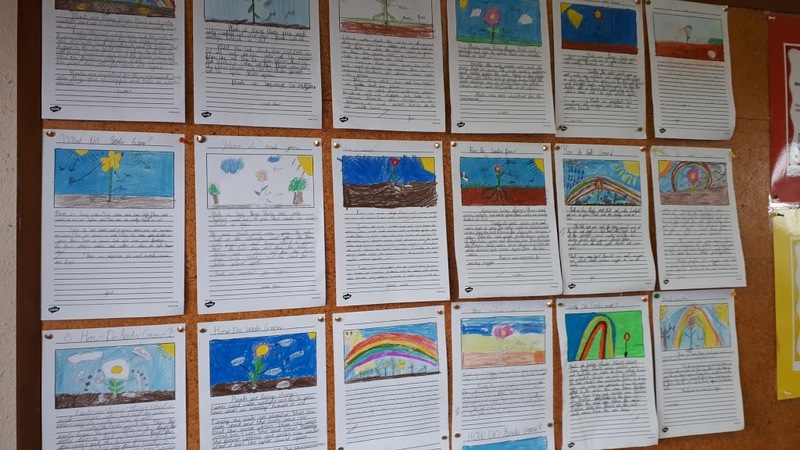 and produced some fabulous drawings as part of their art classes which we be displayed in their scrap book for you to see. Next term we will be busy preparing for our Christmas concert. We are also going on an exciting adventure to UCC on November 22nd to attend a junior conferring. Watch this space to see how we get on! 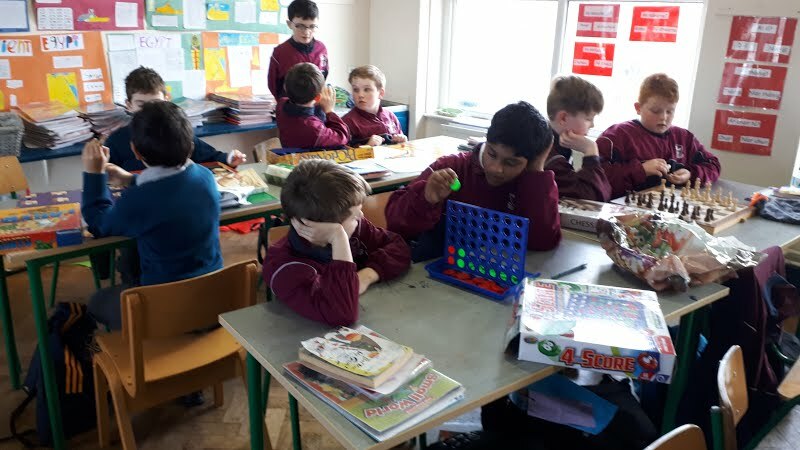 We have had a very busy September in 3rd class! 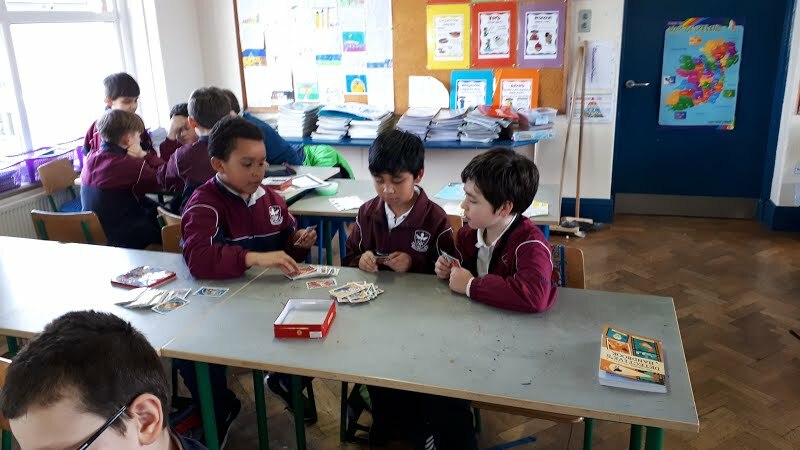 In our geography and science classes the boys learned about lots of different types of bridges, how they are built and why they are so important. They examined lots of famous bridges around the world. Every boy researched a famous bridge at home and wrote about it. They picked their favourite type of bridge and based their artwork on it. This term the boys are focusing on drawing so they needed to draw their own bridge. First they painted the background using warm colours for the sky at sunset and cool colours for the water. Then they drew they bridges. They turned out beautifully, well done boys! 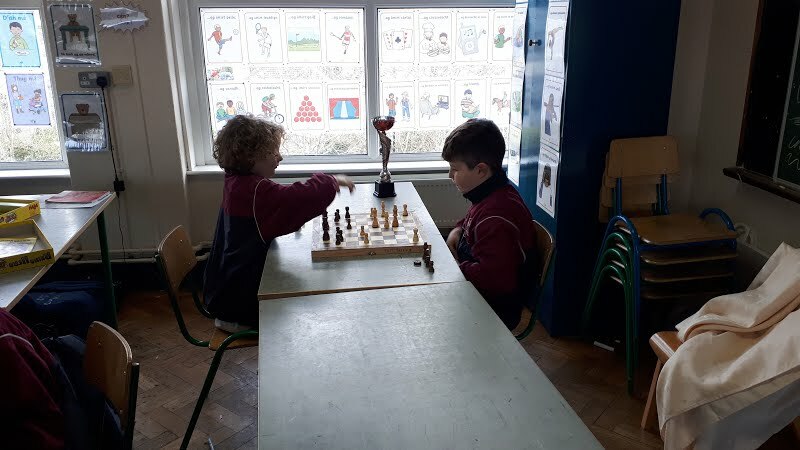 Third class went on their school tour to the "Let's Go" Camp in Nemo Rangers G.A.A. Club this year. 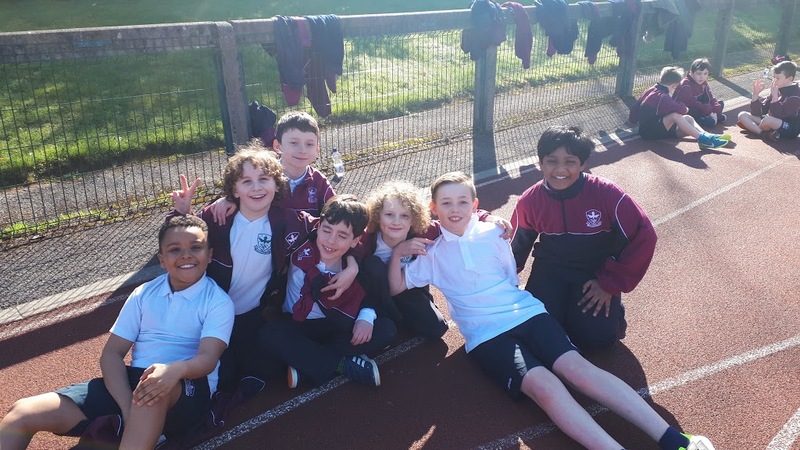 Among the activities they took part in were zorbing, air mountain bouncy castle, disco club bouncy castle, go karting, under pressure and lacrosse. The boys had an absolutely fantastic day and needless to say, the bus was very quiet on the way home!! 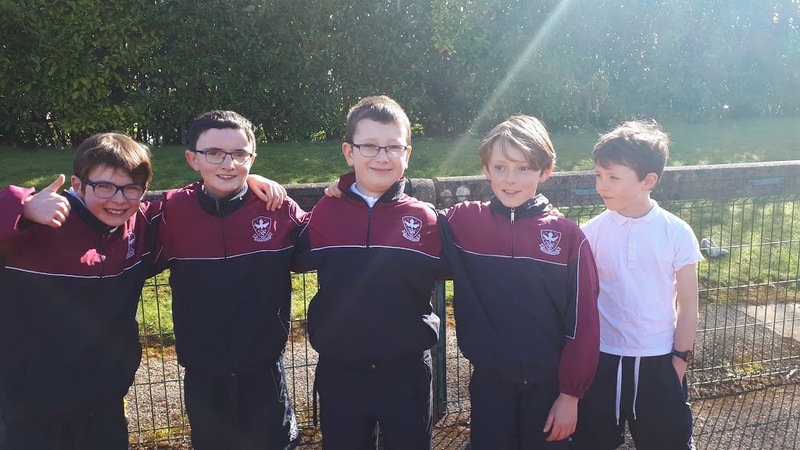 Well done to this excellent boy in our class who came 2nd in his race at the Cork City Sports, which was held in C.I.T. In 1492 Columbus sailed the ocean blue! Thanks to "Dogs for the Disabled" for coming in and teaching us all about the importance of these dogs in so many people's lives. 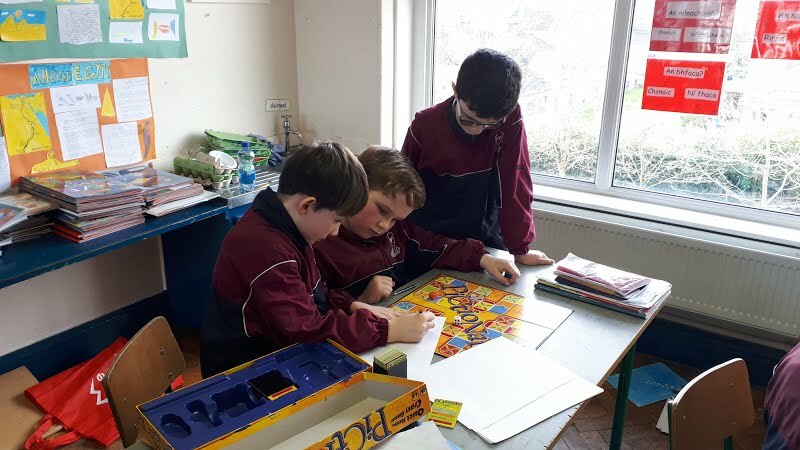 The boys have been learning all about the Counties and Provinces. They can now all name every county in the four provinces, with the help of our Counties Song! The boys learned all about Thomas Edison; his early life, his inventions and also some fun facts about him. The boys have been getting into the Christmas spirit! The boys were busy making Fraction Pizzas this week. Have a look! The boys put so much effort into their Stone Age projects and the results are fantastic. Take a look! Who are we? We are rang a trí!! The boys were treated to a talk on water safety today by a qualified lifegaurd. They thoroughly enjoyed it and learnt all about staying safe in the water.